Good news! 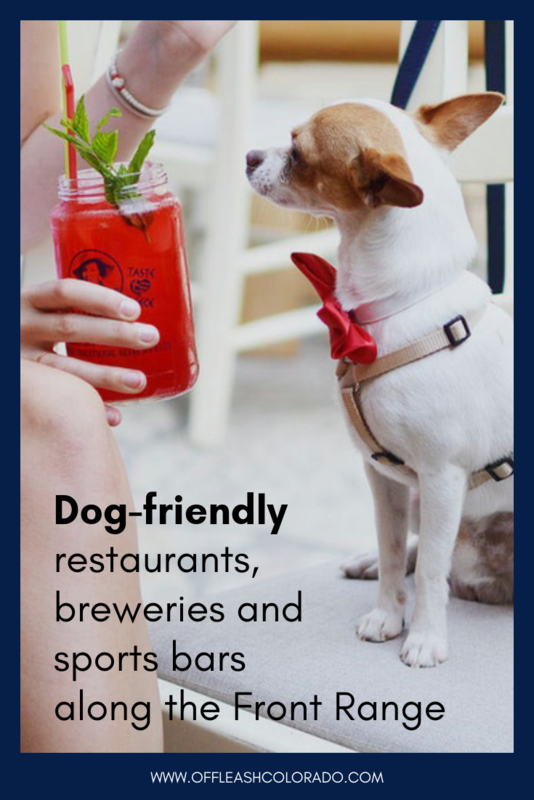 You and your pup have more than 400 dog-friendly restaurants, cafes, breweries and sports bars to choose from all along the Front Range, from Colorado Springs to Fort Collins. Are you in the mood for American, Mexican, Asian, Mediterranean or something else? A nice sit-down dinner? Pizza, hamburgers or barbecue? A sandwich, or just coffee or ice cream? A place to have a drink with friends and socialize? Chances are you’ll find the exact right place for you and your dog. Scroll down to locate a dog-friendly establishment in your area. The question is: Are you and your dog prepared for a fun time out together? Just to be safe: bring a water bowl. Or ask for a disposable paper or plastic cup or bowl (it’s the law). Keep your dog close to you, out of traffic areas, especially for waiters. Leash your dog to your chair (not table). Before you go, feed your fur-kid to help ensure no begging and make a quick trip outside to give your dog a chance to relieve itself. Only bring your four-legged friend along if you know your dog is 100% obedient and will listen to your commands. 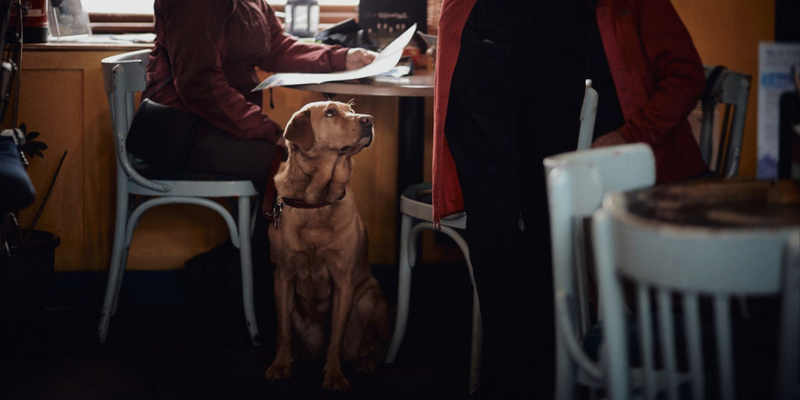 Your dog also needs to be friendly to people, kids and other dogs to be a responsible restaurant guest. While at the table, place your dog in an extended down position either under the table or close to you, to keep him out of the way. If another dog approaches, be sure to keep your dog in command or put your dog into a command. Be sure to greet the owner first before letting your dogs interact. This ensures that your dog is making sure the situation is safe for them. Once the greeting is done. (Hi, how’s it going? Your dog looks awesome! Can they meet each other? If yes let the dogs interact with leash in hand…If no then no worries.) If you are the one bringing your dog to a person sitting down at the table with their dog and they say no, don’t insist just go on about your business as their might be a good reason why they didn’t want your dog to meet theirs. If another person comes up to pet your dog make sure you give them permission and talk to them first. If you tell them no be firm and make sure they don’t. If you tell them yes release your dog from his or her command and let them say hi. 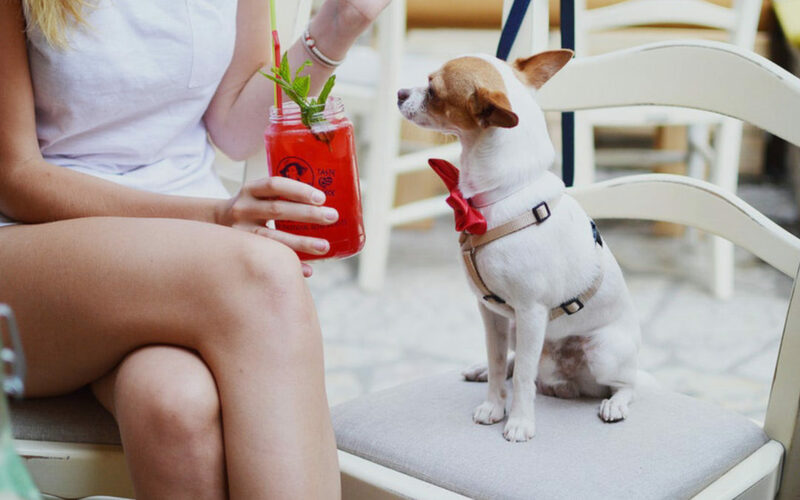 With over 400 dog-friendly eateries, no matter where you live along the Front Range, you are sure to find a place to grab some food and a drink with your pooch close by. Click below to see some dog-friendly establishments in your area! Do you have outdoor seating? Is your patio shaded by trees, bushes or umbrellas? Is it partially covered, or almost enclosed? Is your patio seasonal or year-round? Does it have heating for chilly weather? Can I have my dog on the patio with me? Or are dogs kept outside a gate or fence? Is table service available on the patio? Or do I have to tie up my dog outside while I order inside? How many tables on your patio? (Patios range from two to more than 20 tables, depending on the establishment’s size). Do you provide water bowls? Do you offer dog treats or a doggie menu? Sports bars, breweries and brewpubs: Are dogs allowed in the tap room or tasting area? Thanks for those suggestions, Shellie!